Successfully Added Satellite TV PCI Tuner Card to your Shopping Cart. With the fuzzy and frustrating analog TV system on the way out, there's no better time to upgrade to a super sharp, stable and easy to use DTV-S System. Whether being put in a new Home Theatre PC (HTPC) or simply in the desktop as a second recording device this card is sure to cover all the bases. Installation is a breeze and once you've connected this card up to your satellite you'll be watching tele in no time thanks to the great auto scan feature. 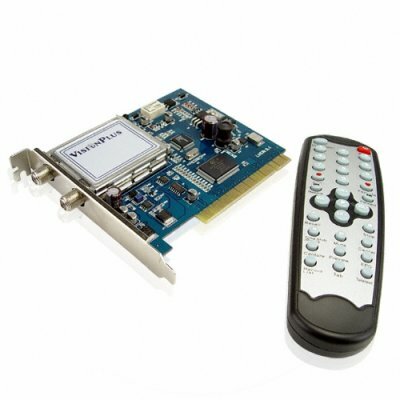 Digital television has many great features to offer including electronic programme guides and super fast teletext, what's more you're able to use this card to record all your favourite shows. Be ready for the demand for DVB-S products stock up now and sell on to others for mega profits thanks to Chinavasion's incredibly low wholesale prices..